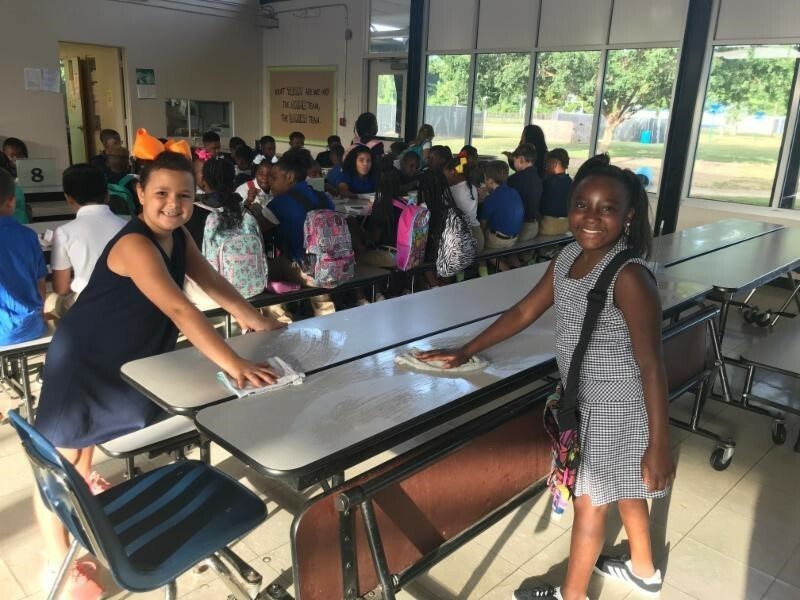 Georgia Metz and Marley Kador help clean up after each group of students finishes breakfast on Thursday, Aug. 16, at Bains Elementary School. "We take pride in our school and cleaning up after ourselves is a responsibility," Georgia said. "We are leaders at our school. And leaders make sure that things get done," Marley said.